Yesterday, the S&P 500 added +0.3% and the Nasdaq gained +0.4%, while the Dow Jones closed down -0.4%. This morning, European markets opened mostly higher. Stocks in Asia struggled to find direction. I ran my routine stock screens this morning and added one more stock to our watch lists. 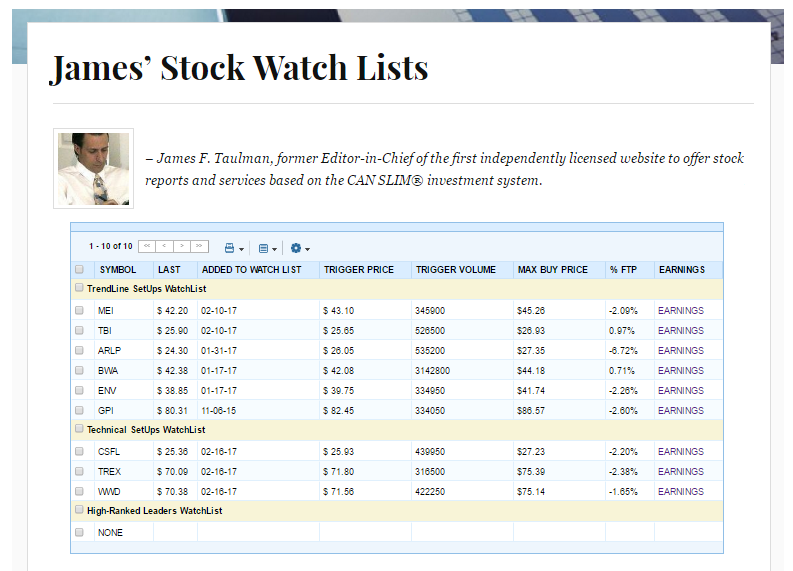 We now have 21 stocks on our watch lists. – see here.